If you've been watching the Canadian import The Listener, tonight's your last night to catch it on regular TV. Due to excruciatingly low ratings, NBC is pulling the last five episodes and replacing it with reruns of Law & Order. I'm not sure if another Law & Order rerun is what NBC needs, but The Listener wasn't obviously doing them any favors either. For those of you that did enjoy the hypnotic stare of Craig Olejnik, NBC will be airing the final episodes online. Canada's CTV will air the remainder of the series on TV and may pick up a second season, so US fans might have a DVD issue in the future to look forward to. Thanks to Zap2It and Yahoo!Canada for the news. 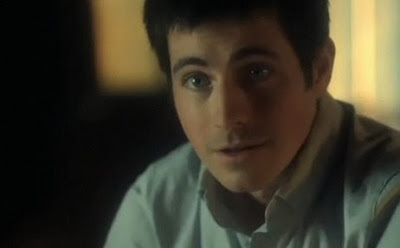 PHOTO: Craig Olejnik as Toby Logan, The Listener screencap, c2009 Shaftesbury Films, CTV, NBC. never even heard of this show, but sereiously NBC? aren't the 50 other hours of Law & Order enough? Yeah, NBC just clings to L&O like a life raft, but it's getting to be overkill. They canceled a number of shows on their station that I really enjoyed, and so far all the new stuff they're advertising I have absolutely no interest in. Ugh. Say Yes to the Dress -- "Family Dynamics"
Cake Boss -- "Soldiers, Sand, and Salad"
Say Yes to the Dress -- "Clicking With Brides"
Cake Boss -- "Museum, Mistakes,and Mother Mary"